A few days have past since the 2018 WHL Bantam Draft in Red Deer, Alberta. 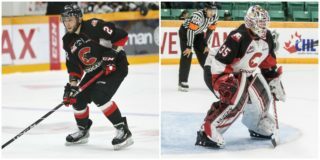 The Prince George Cougars were one of the more busier teams, with nine selections, six inside the first three rounds. 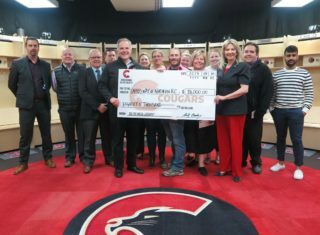 Manager of Broadcasting & Media Relations, Fraser Rodgers, spoke with Director of Scouting, Bob Simmonds, as the two recap the Cougars draft day. 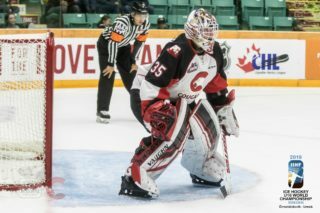 The Cougars selected nine players, four forwards, four defensemen and one goalie. 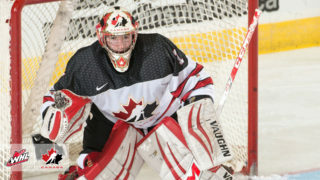 They took forward Craig Armstrong (Airdrie Xtreme) and goaltender Ty Brennan (Rink Hockey Academy) in the first round. In the second round, the Cougars picked defenseman Hudson Thornton (Rink Hockey Academy) and forward Blake Eastman (Fort Saskatchewan Rangers). Ty Mueller (Airdrie Xtreme) and defenseman Ethan Samson (Delta Hockey Academy) were nabbed in the third round. In the fifth round, Prince George selected defenseman Aidan Hreschuk (LA Jr. Kings AAA) and forward Michael Svenson (Rink Hockey Academy). Their final pick was defenseman Kent Anderson (Calgary North Stars Minor Hockey Association) in the sixth round. 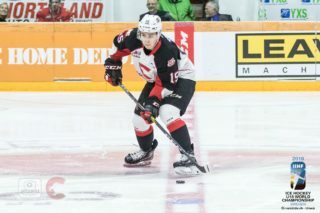 Bob and Fraser look over the Cougars draft, discuss the process behind the Cougars draft strategy, Bob highlights his draft surprise and gives a brief scouting report on each draft pick. Most impressive draft by a team had to be Prince George – EVERY player they selected is a player. A magical draft for them, good players somehow magically slipped down to them. Would not be shocked to see if 8 players they picked we’re in the teams top 50 internal ranking list.